I don’t normally write about television series here – in fact, I think I’ve only done so less than half a dozen times in the past. And usually then it’s about programmes I really like and think are very good – which would be, in no particular order, Battlestar Galactica, Waking the Dead, Scott & Bailey, In Plain Sight, Fringe, Twin Peaks, The X Files, Life on Mars / Ashes to Ashes, and Space Odyssey: Voyage to the Planets. (I make no apology for the last of those.) However, on this occasion, I’m going to write about something I didn’t think was very good at all. The neat ideas first: 1) exploring vent-fields beneath the Arctic icecap, and finding a thermophilic biodigester which produces biogas with unprecedented metabolic efficiency; and 2) discovering that the Russians have been secretly drilling for oil under the seabed in a UN Exclusion Zone beneath the icecap (shades of Frank Herbert’s The Dragon in the Sea?). Idea 1 provides the motive for the expedition to visit the vent-field on the Lomonosov Ridge and a satisfyingly earth-changing end-game. Idea 2 gives us the villains and the obstacles they present which the protagonists must overcome in order to win through to the end. 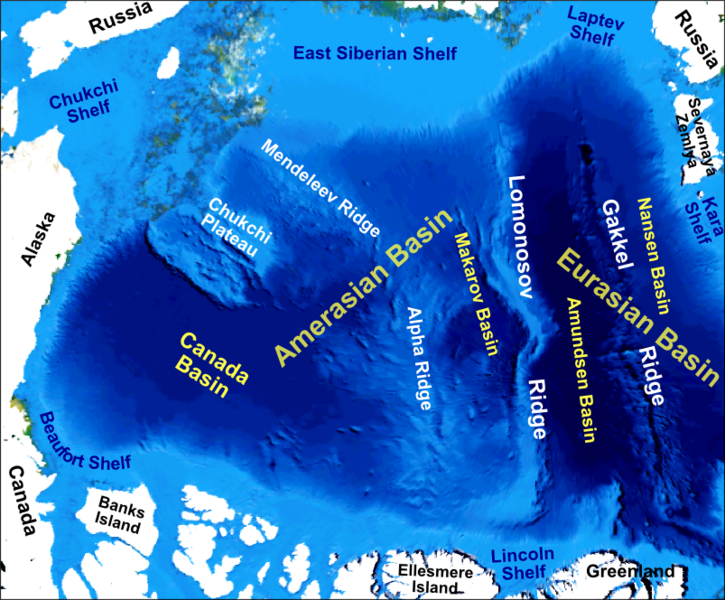 The setting is 2,000 feet deep in the Arctic Ocean. So the cast are confined to the interior of submersibles and/or submarines. At that depth, the pressure is around 70 atmospheres. Submarines make for really dramatic environments – they’re claustrophobic and subject to unforeseeable external hazards; and in this case, they’re high-tech too. The Deep features three such vessels: Hermes, a research submersible, which disappears with all hands at the start; Orpheus, a second research submersible which is sent six months later to continue Hermes’ research and also discover her fate; and Volos, the giant submarine the Russians are using as a base of operations for their illegal drilling. Each vessel also carries a mini-submersible, single-person but they can carry two at a squeeze. So far so good. Orpehus arrives at the Lomonosov Ridge, discovers the wreck of Hermes, but is then disabled – and one of the crew killed – by… something. They are captured by Volos, but the Russian submarine remains silent. Aboard Volos, the Orpheus crew discovers all but two of its crew dead, cause unknown. The two survivors try to commandeer Orpheus, but she’s going nowhere because her systems are down. These are fixed by salvaging “the motherboard” from Hermes. But, oh no, the nuclear reactor aboard Volos is over-heating and will soon explode. Except there are other survivors aboard Volos, including a member of Hermes’ crew. It’s a race against time to rescue them before the Russian sub blows up. Which happily it doesn’t, as one of the crew does a Spock and saves the day (at the cost of his own life). Oh, and the thing that killed the Volos’ crew and disabled both Hermes and Orpheus proves to be… a giant underwater radar. Which the Russians were using to probe beneath the seabed and find oil deposits. Only now there’s another problem. That thermophilic biodigester is really important, but all the samples aboard Volos are dead. Fresh ones are required… from the oil well at the bottom of the nearby Laurentian Abyss. Well, they call it the Laurentian Abyss, and claim it’s 8,500 feet deep; but the real Laurentian Abyss is closer to 20,000 feet deep. So they have to go and get another sample. 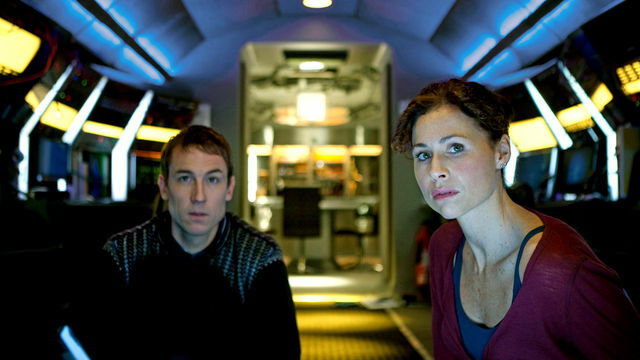 But the captain of the Volos won’t let them go, and in fact plans to use the giant underwater radar to destroy Orpheus. But they defeat him. And go and fetch another sample of the thermophilic biodigester by lowering a one-person sub into the well itself. And then the Volos blows up. And the good guys – well, the ones that are left – escape. Those mini-submersibles I mentioned… They’re carried inside each of the vessels, and leave it via a moon pool. At a depth of 2000 feet, at a pressure of 70 atmospheres. So the interior of Hermes, Orpheus and Volos would also have to be pressurised to 70 atm… or be instantly flooded. We’re informed the crew are breathing “neonox”, a neon-oxygen mix, at high pressure, so, you know, it’s a little bit plausible. 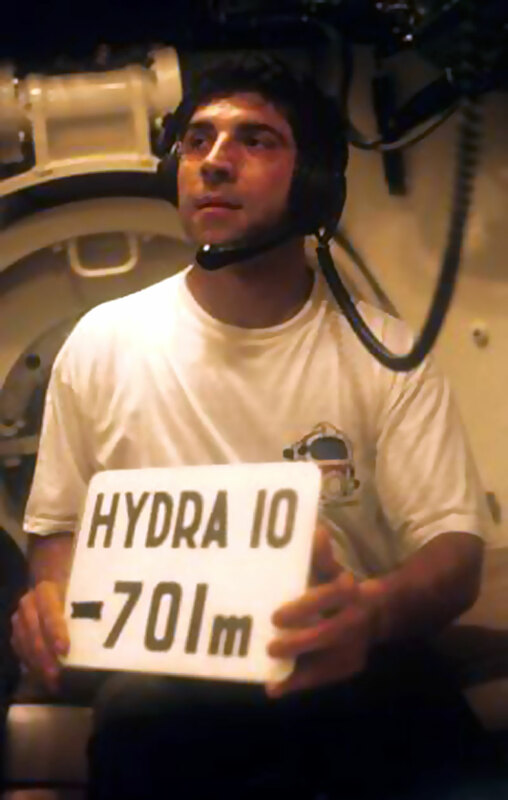 The current depth record is held by Theo Mavrostomos who, as part of Comex’s HYDRA 10 experiment in 1992, spent 3 hours at 2,300 feet (71 atmospheres) in a hyperbaric chamber on land. But the entire experiment took 43 days: 15 days compression, 3 days at 68 atmospheres, and 24 days decompression. There are no two weeks of compression in The Deep. It’s borderline plausible – one man has spent 3 hours at 71 atm and survived, but that was 20 years ago. However… there’s no reason why any of the subs should have a moon pool. The mini-submersibles could just dock to a hatch. So then the interior could be pressurised to 1 atm. Just like real-life submersibles. In Sphere, the film adapted from Michael Crichton’s novel, the underwater habitat is 1,000 feet beneath the surface, but it has a moon pool. However, it’s needed because the cast go saturation diving. They go out into the water. No one does in The Deep. Then there’s that giant underwater radar. And numerous mentions to “calling on all frequencies” by various members of the subs’ crews. Radar doesn’t work underwater. That’s why they use sonar. And radio doesn’t work very well below the surface either. Various navies have used extremely low frequency radio for communication with submarines (ie, with wavelengths of several thousand kilometres), but it’s expensive and technically difficult. Which is why acoustic transmission is the most common form of communication with vessels underwater. But, you cry, these are piffling! What do I care about HYDRA 10 or nuclear reactors going boom? The Deep was jolly exciting drama and those are mere trivial details. After all, the moon pool looked pretty neat, so what does it matter if no real submersible could descend to 2,000 feet with one? Or even to 8,500 feet. As for the other niggles, they’re even more trivial. So what if one of the Russians lights up a cigarette at 70 atms pressure? 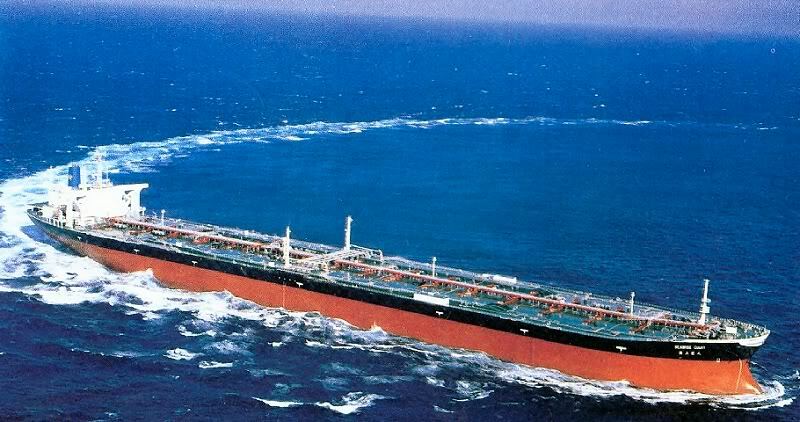 So what if another character declares Volos, at 300 metres long, larger than any surface vessel – when both supertankers and US Navy aircraft carriers are all over 300 metres in length (and the largest supertanker ever built, Seawise Giant, was 458 metres long)? So what if a marine biologist is asked to do an autopsy and seems to know what he is doing, despite saying he’s only ever dissected a rabbit for his Biology GCSE? So what if the thermophilic biodigester produces nitric acid as a byproduct of its metabolic process, and the acid has been corroding all the subs’ hulls – but the concentration would be so weak in, like, the Arctic Ocean that it couldn’t even corrode tissue paper? So what if the underwater well, from where they fetch the fresh sample, is a hole several metres in diameters and when have you ever seen an oil well that large or even a drill bit? That’s less than trivial! It is meaningless. There were problems with the story itself, true; and with the script. Characters telling each other stuff they should already know – “We’re breathing Neonox, a mixture of neon and oxygen”, “That’s a vent-field”, etc. Not to mention a dramatic scene resulting wholly from the fact two switches had been swapped over but their labels had not been changed. My point is that the details I’ve mentioned above could all be easily checked. And putting them right would not have affected the story (although a hatch doesn’t look as cool as a moon pool, I’ll grant). But when you leave stuff like that in, it will annoy some people and you will lose them. Why not get it right and keep them? No one’s saying it should be, “That submarine must be 300 metres long, that’s nearly as long as a supertanker or a US Navy aircraft carrier, but not as long as Seawise Giant, which was 458 metres long.” Because that would be silly. Instead of, “That submarine must be 300 metres long, that’s longer than anything you’ll see on the surface,” why not, “That submarine must be 300 metres long, that’s really big for a submarine”? The giant underwater radar is more problematical as it’s a plot device. Something has to generate the EMP which leaves Orpheus dead in the water, something has to kill the crew of Volos. There’s a lovely line in the Wikipedia article on offshore geotechnical engineering, which goes, “For the sub-bottom stratigraphy, the tools used include boomers, sparkers, pingers and chirp.” The article explains that geophysical surveys make use of a combination of sonar and seismic refraction, so perhaps one or more of those might have been used instead of the implausible giant underwater radar. When I started this post a few days ago, it was with the intention of just pointing out some of the howlers in The Deep. But yesterday’s discussion on Twitter suggested to me there’s a wider point to make. When you’re writing, there’s stuff you make up and stuff you look up. And if you don’t know which is which, then perhaps you need to rethink your story. Never assume your readers won’t spot it when you’ve got details wrong. It’s perhaps forgiveable when the knowledge required is arcane or difficult to find. But the simple stuff? Characters using the Jubilee Line on the London Underground in 1940, 37 years before it was built? Characters referring to the Paras as “redcaps”, when that’s the nickname of the Royal Military Police? Why would a writer not bother to look these things up? If they’re that lazy with the details, what does that say about the story, or the novel, as a whole? You can’t, as they say, please all of the people all of the time – but you can at least make an effort to please as many as you possibly can. If I’m writing and I want something to happen in my story but I’m not clear on the details, then I look them up. I don’t just wing it and hope no one notices. This does not mean every story needs to be fact-checked. It’s not always necessary. I wrote a story about an ATA pilot who flew Spitfires, so I researched both. I wrote another story set in an unnamed town during an unnamed decade (which sort of resembles the 1940s) – no research was necessary. If a story is set on an invented world in an invented galactic empire, then there’s not much you can look up anyway. But if it’s set in London, or Belfast, or beneath the Arctic icecap – then it’s time to get googling. Categories: television, world-building, writing | Tags: frank herbert, sphere, the deep | Permalink. The one that irritates me is when film-makers use CGI and STILL get factual details wrong. My pet example is in ‘The Day after Tomorrow’, when the RAF is trying to get through to Balmoral to rescue the Royal Family from freezing to death (spoiler alert: they die) in Sikorsky SH-61 (HH-3) Pelicans, an aircraft the RAF has never used. FFS, there are enough pictures around of Westland Merlins for any reasonable CGI expert to whip up a half-decent representation of one!